Excellent winter fishing weather is upon us. Low pressure, some cloud cover, and days above the freezing mark means happy fish and happy anglers. We are still a bit early for the major midge hatches of winter but excellent Nymphing and Streamer days are here. Anglers that want to fish the Nature Conservancy portion of Silver Creek have until the end of the week/month to get their licks in. Streamer fishing should be very good as the Brown Trout population has come off the spawn with a need to fatten up quickly before the long months of winter set in. If you can’t make it this week don’t fret, as Silver Creek downstream of Hwy 20 remains open to catch and release fishing through the end of February. If you decide to fish the Creek with Streamers, use non-weighted flies and fish them just under the surface. Watch for the wake and the boil of water on the surface when the fish takes the Streamer. It is a very visual and very fun way to catch fish on the Creek throughout the winter. Anglers looking at our freestone streams like the Big Wood, Little Wood and Upper Lost should be fishing standard nymphs in large sizes. Prince Nymph, Hares Ears and Girdle Bugs are great choices. Fishing them in tandem is also a great idea. Use a size 10 as a lead fly and then trail a size 18 or smaller midge pattern behind the lead fly. About a foot and half is all that you need for the trailer. Make sure your indicator is able to float both flies and then cover some water! With the ski season starting this week, expect very few anglers out on our local rivers. 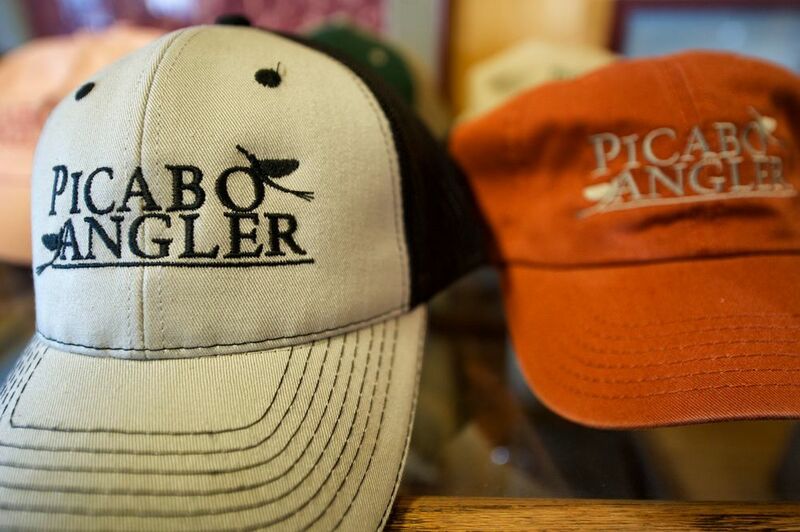 If you decide to fish the Lost River and are driving through Arco, don’t forget to stop and see us at Picabo Angler. We’ll put the right flies in your hand, and if you need a Latte, Breakfast or a box lunch we can help with that also. Anglers fishing the Creek can stop in for a hot lunch here at the shop and don’t forget roast chicken Fridays! Chukar and Duck hunting has been excellent near Picabo this season. The waterfowl population is way up and the early snow has moved the Chukar down the ridge lines. These conditions are great for hunters and yet another reason to come see us in Picabo! Sunday Breakfast in Picabo is back. 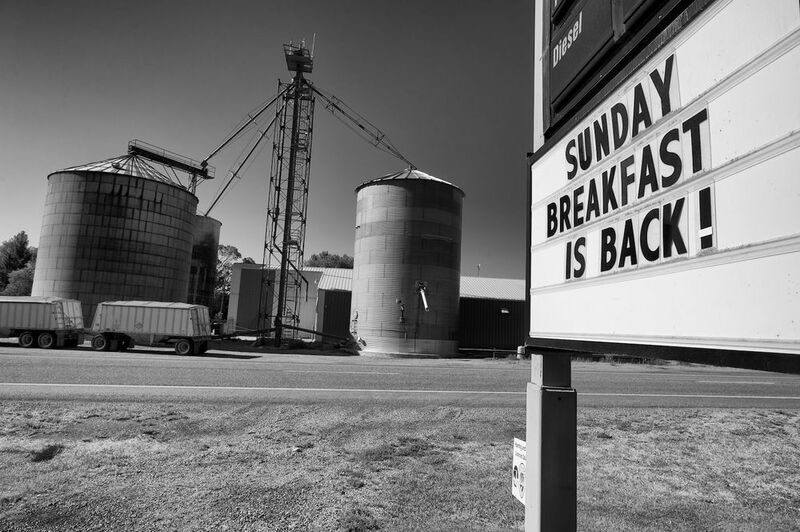 We start serving at 7 am so come on down before your morning on Silver Creek or your dove hunt (dove and grouse opens soon!)... 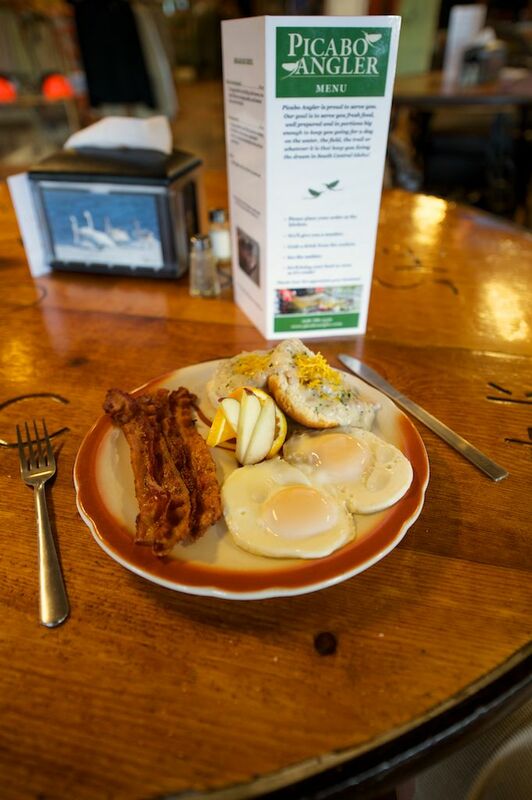 It's worth the trip down just for the breakfast itself.